At Wed Feb 27 13:12:06 2008, the file was initially submitted. At Fri May 9 14:40:06 2008, a new version of the file was submitted. 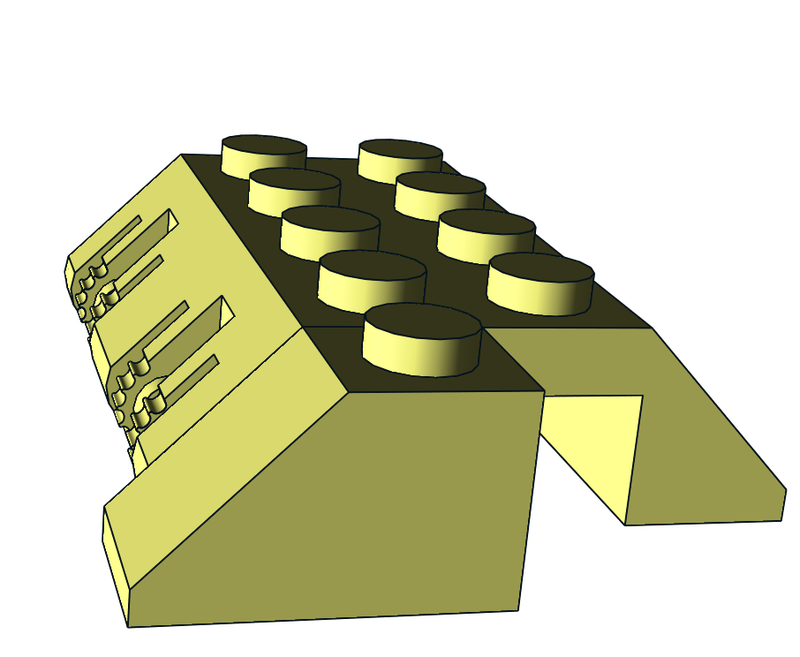 Holding for this: one of the click-hinges have duplicated surface, made by both a primitive and inlined. There is also some overlapping quads. I had a look into 44572 and 44571 today. But I also think that this one is a tiny bit off center too. I've had a close look into this design, and want to fix it. But...wich is best (or worse)? An incorrect rotationpoint, like it has now. A correction would force a small rise of the sloped surface. due to our practise of making the front surface only 4 ldu high. in the review of the main file 44571. At Sun Sep 30 15:05:08 2012, a new version of the file was submitted. 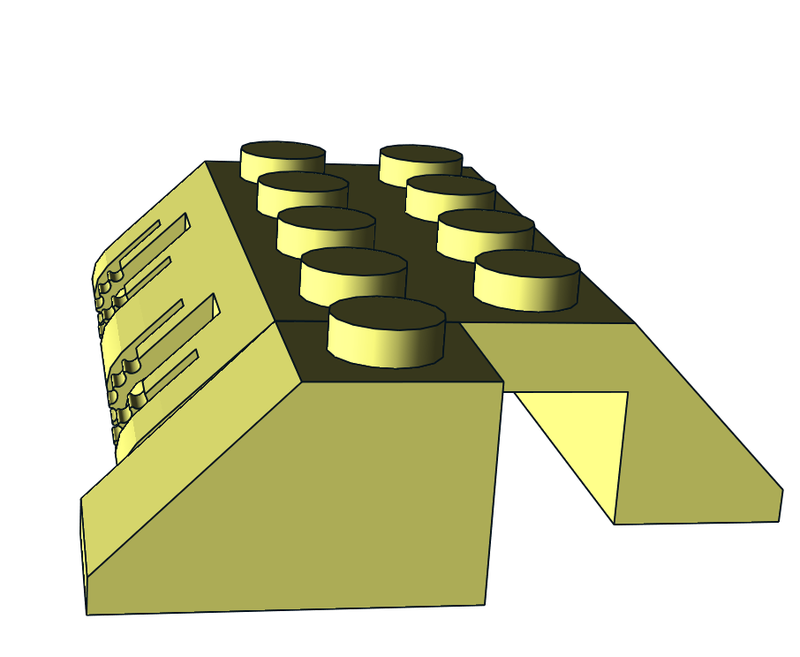 I have also prepared a file with the "deformed" clickhinge, only correcting the duplicated surfaces.